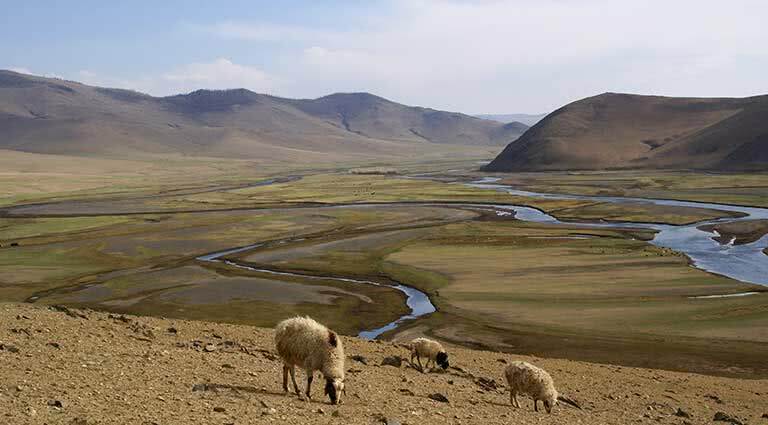 While the area around Karakorum has long been inhabited, for much of its history, it was home only to settlements of wandering nomads and their livestock. 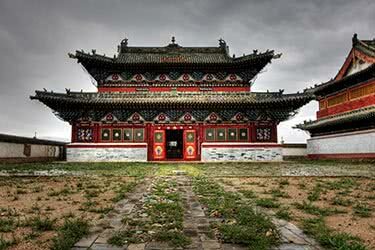 However, following the unification of the Mongols by Genghis Khan, Karakorum slowly came into its own right as a city. Later, at the height of the Mongol Empire, which spanned much of the Eurasian landmass, Karakorum was visited by numerous envoys, including William of Rubruck, dispatched by the Catholic Pope, and who popularized a cosmopolitan, urbane vision of the city, famously writing of a silver tree which sat in the palace of the reigning khan. Sadly, while Karakorum was destroyed by Chinese troops in 1388, a series of scattered ruins remain, testifying to the former grandeur of the city. 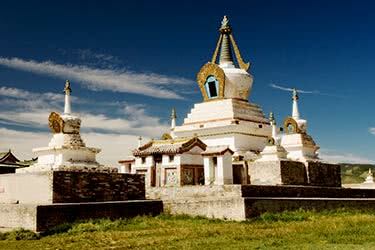 Additionally, under previous Mongolian prime ministers, parts of Karakorum, including the monastery of Erdene Zhuu, were rebuilt. 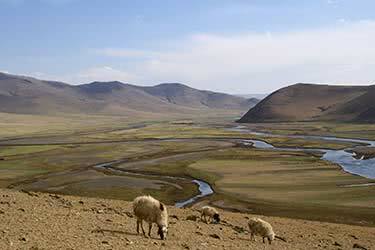 Today, Karakorum, as a part of the nearby Orkhon River Valley, was designated a UNESCO World Heritage Site. 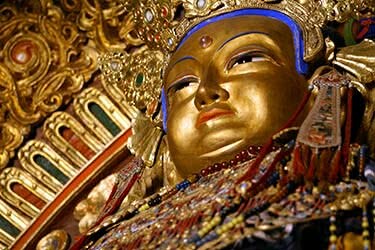 Mongolia’s oldest monastery, Erdene Zuu was built in 1585, the year the Mongolia embraced Tibetan Buddhism as the official state religion. 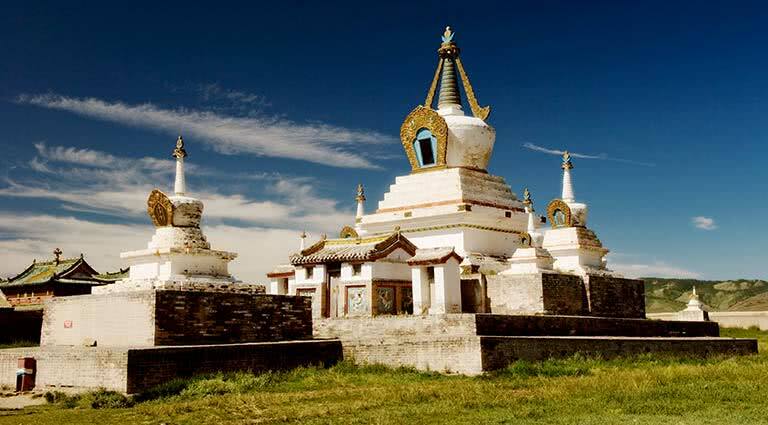 The structure consists of 108 brilliant, white stupas that stretch out across the grassy plains - many of which were built with stones from the ruined city of Karakorum. 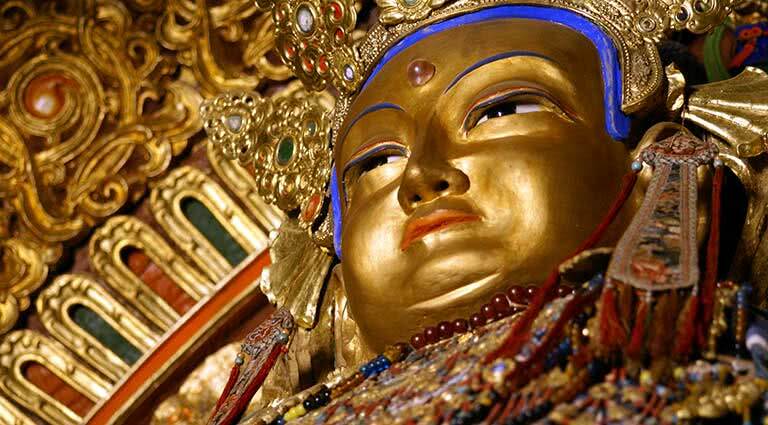 While Erdene Zuu was nearly destroyed by Mongolian Communists when they rose to power, following the fall of Communism in Mongolia, the monastery was returned to lamas; today, it once again rings with prayers and meditative chants. One notable feature of the monastery is the Kharkhorin Rock, a stone phallus that is said to keep the sexual desires of resident monks in check, thus ensuring them of their celibacy. 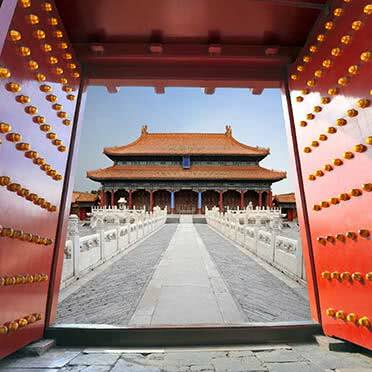 The ancient capital of the Uyghur Empire, Khar Balgas was once a large, prosperous town surrounded by a wall, gate, and several watchtowers. Founded by the Uyghur peoples, a collection of nomadic tribes who rebelled against their Turkish overlords, Khar Balgas contained fortifications, stables, a well-defined commercial district, and a series of palaces and temples. 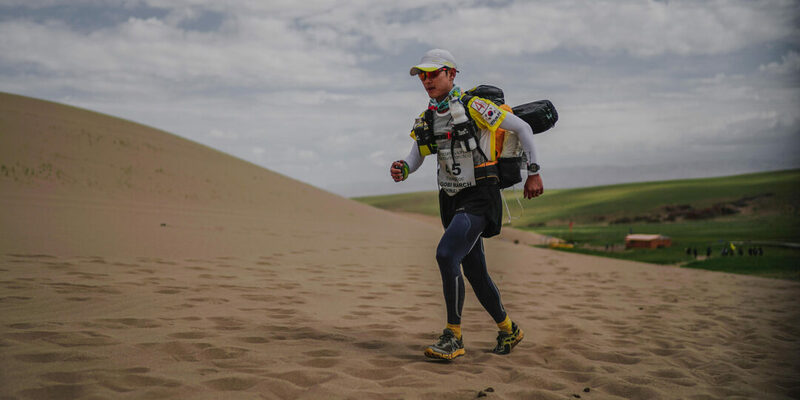 After falling into a long, slow decline, Khar Balgas was sacked by an army of rival Kyrgyz tribesmen. 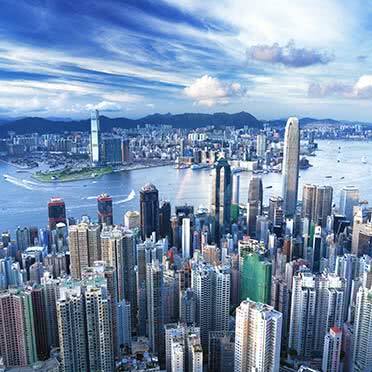 Today, little remains of the city save for a series of stones, and faded, rectangular outlines where myriad buildings once stood. 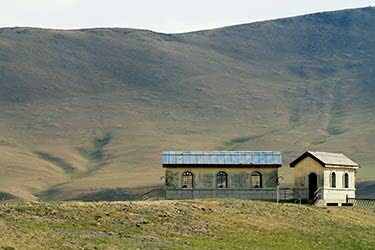 Some of the most historically significant sites within the Orkhon Valley are a series of stone steles engraved by leaders of the Gokturk confederation. A loose collection of nomadic Turkic peoples who held sway over much of northern China, Mongolia, and Central Asia, the Gokturk Empire was a powerful, prosperous realm that alternately warred, feuded, traded, and befriended neighboring Chinese dynasties, Korean kingdoms, and other Central Asian powers. The steles were inscribed by two brothers, Bilge Khan and Kul Tigin, who respectively served as ruler and commander-in-chief of the Gokturk army. Much of the stele’s content concerns the achievements and accomplishments of the two brothers, who consolidated a wide swath of territory from rival Kyrgyz and Tangut tribes, as well as the influence of Tang China – seen by the two as a malignant, if seductive influence that threatened to dilute Gokturk culture. 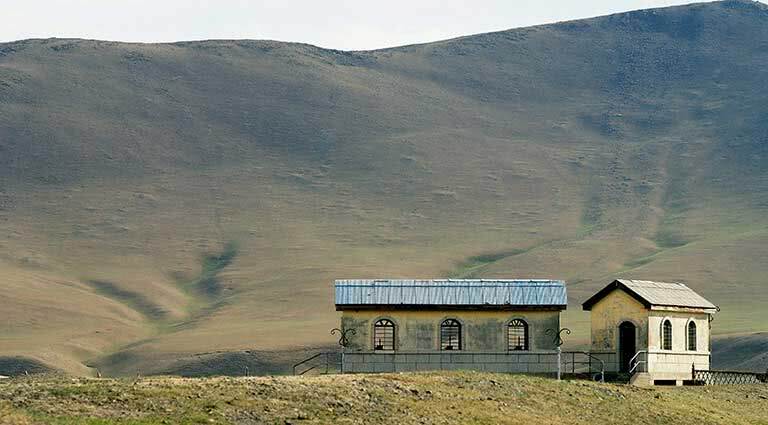 While parts of this monastery was destroyed by the Mongolian Communists in their religious purges, Tuvkhun Hermitage sits atop a high hill that stands 8,530 feet (2,600 meters) above sea level. Fortunately, much of the monastery remains intact to this day, in the form of blue-roofed, wood-walled buildings. 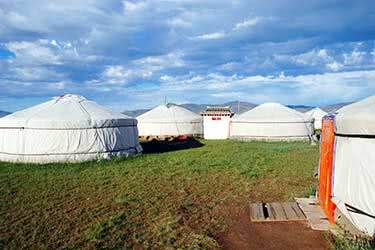 Additionally, its location offers commanding views of the green, lush pastureland of the Orkhon River Valley. 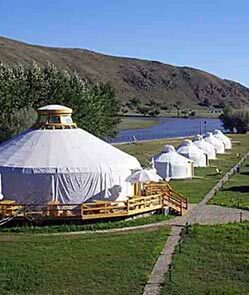 The traditional nomadic Mongolian ger tents have en-suite western-style bathrooms, king size or twin beds, wooden furniture, heaters and air-conditioning. 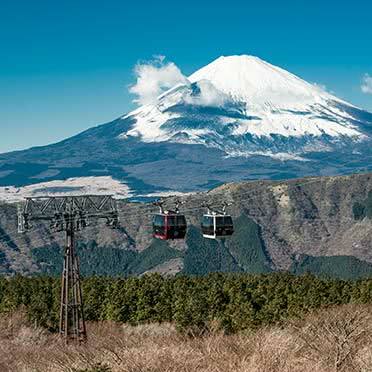 Although the camp is rather basic, there are various facilities including a restaurant serving local and international dishes, a bar and karaoke room, a sauna, Japanese style communal baths, a laundry service and massage is also available. 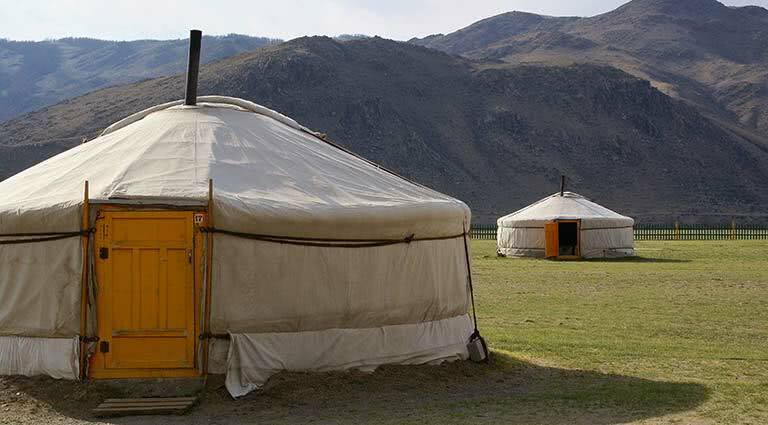 If you wish to stay in more refined accommodation than what’s available, Remote Lands can arrange for a luxury ger camp to be set up for your trip. 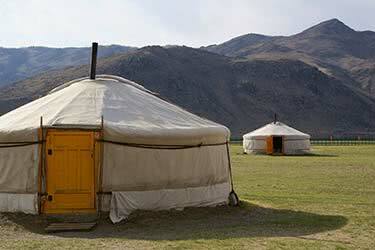 Amongst lushsloping Mongolian grasslands lies the luxurious Mongke Tengri Summer Camp. 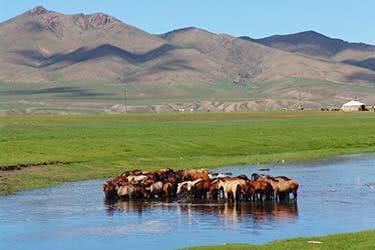 Pitched in the deep reaches of the Orkhon National Park, near the ancient city of Karakorum founded by Ghenghis Khan in 1220, the camp is engulfed by unadulterated, fenceless natural splendor. 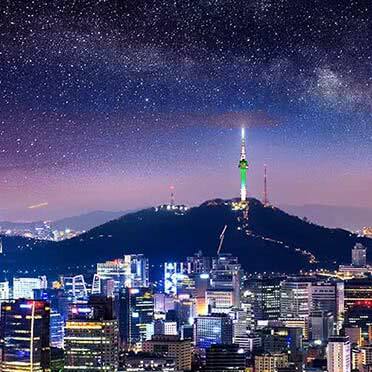 Rich with history, the area is a UNESCO protected area featuring many historical sites and home to charming Buddhist monasteries. 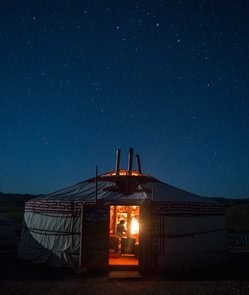 A personal project, Mongke Tengri Camp is owned by a German-Mongol family that has been travelling to the location every summer for the past 20 years. 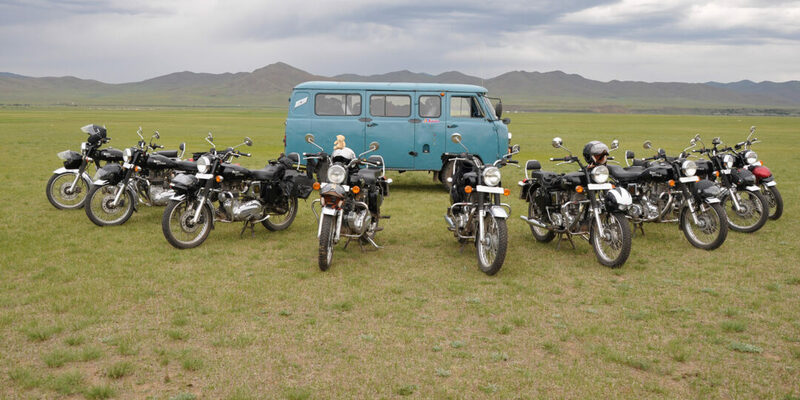 Today they open up their summer home to adventurous guests and draw on personal expertise to organize riding, hiking, kayaking, mountain biking, and polo excursions throughout the Orkhon Valley and Khangai Mountains. More experiencedriding or polo enthusiasts are welcomed to join daily chukkas and games. 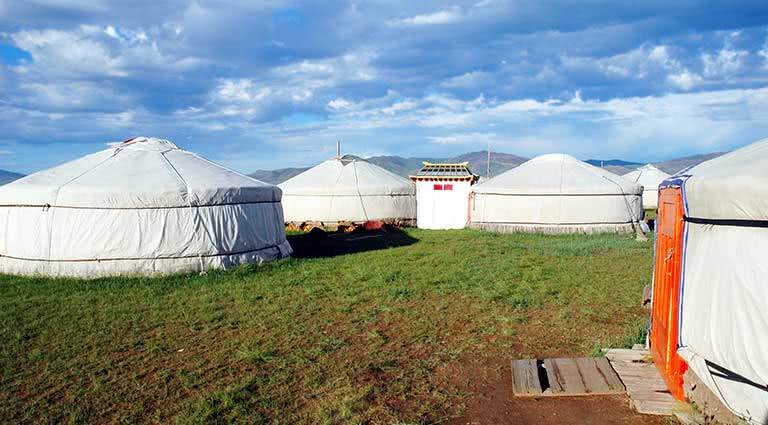 Open from June to mid-September every year, thirty percent of yearly earnings are donated to polo training and educational support programs for Mongol children.